The Microsoft Technology development centre of Ink Web Solutions is a dedicated facility with a team of highly skilled and experienced professionals. 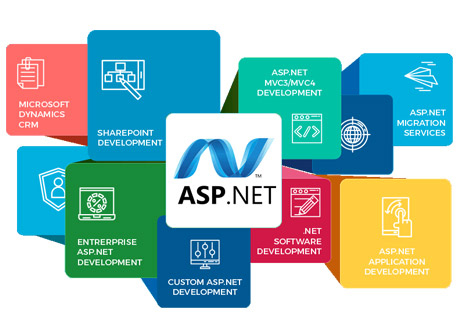 We work on wide range of Microsoft technologies like ASP.NET, Silverlight, Sharepoint and MS SQL and follow the best practices to produce quality enterprise solutions. We will leverage upon our experience to use advanced frameworks and reusable built in components to enable rapid application design and development from a desktop application to interactive web site and enterprise web application. Ink Web Solutions has successfully developed enterprise class E-Commerce portals (B2B and B2C), Custom software web and Client server applications for clients based on .NET Framework. Complete product life-cycle management, from .NET application design to development. Re-engineering legacy desktop, mainframes and intranet systems to .NET applications. Manage upgrades and technical support for existing custom and packaged .NET applications. Chandigarh's Leading Dotnet Programming Company ! Ink Web Solution provides Dotnet Programming services in Chandigarh, Mohali, Himachal Pradesh and India. Our team has successfully executed and delivered diverse projects including ERP Solutions, CMS Solutions, CRM Solutions, Business Intelligence, Intranet, Web and Mobile Apps Development, Document Management System, Ecommerce Development, Middle ware Integration Tools and more.